Medicinal effects of Crepidiastrum denticulatum have been previously reported. However, the genomic resources of this species and its applications have not been studied. In this study, based on the next generation sequencing method (Miseq sequencing system), we characterize the chloroplast genome of C. denticulatum which contains a large single copy (84,112 bp) and a small single copy (18,519 bp), separated by two inverted repeat regions (25,074 bp). This genome consists of 80 protein-coding gene, 30 tRNAs, and four rRNAs. Notably, the trnT_GGU is pseudogenized because of a small insertion within the coding region. Comparative genomic analysis reveals a high similarity among Asteraceae taxa. However, the junctions between LSC, SSC, and IRs locate in different positions within rps19 and ycf1 among examined species. Also, we describe a newly developed single nucleotide polymorphism (SNP) marker for C. denticulatum based on amplification‐refractory mutation system (ARMS) technique. The markers, inferred from SNP in rbcL and matK genes, show effectiveness to recognize C. denticulatum from other related taxa through simple PCR protocol. 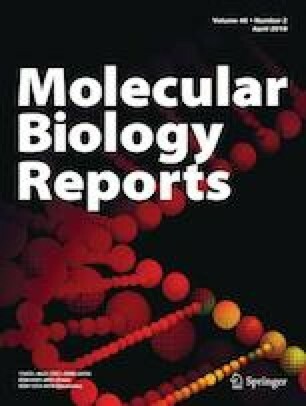 The chloroplast genome-based molecular markers are effective to distinguish a potentially medicinal species, C. denticulatum, from other related taxa. Additionally, the complete chloroplast genome of C. denticulatum provides initial genomic data for further studies on phylogenomics, population genetics, and evolutionary history of Crepidiastrum as well as other taxa in Asteraceae. The online version of this article ( https://doi.org/10.1007/s11033-019-04789-5) contains supplementary material, which is available to authorized users. Hoang Dang Khoa Do and Joonhyung Jung have contributed equally to this work. This study was supported by a grant of the Korean Health Technology R&D Project, Ministry of Health & Welfare, Republic of Korea. (Grant No. HN15C0105). We thank anonymous reviewers for valuable comments to improve this study.